MTSS SUCCESS: Valley Heights has a new program with multiple tiers to focus on different subjects of learning. Students get placed into different Tier interventions based on where they score on benchmark math and reading assessments. 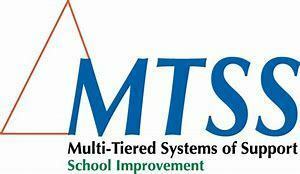 The main goal for this MTSS system is to create a rapid response to academic, behavioral, and social learning needs. Over the past couple years, Valley Heights has tried different activities for the Tier 1 students. “I like it better than last year.” says Jr. Bailee Lister. Some of these Tier 1 activities consist of vocabulary practice, ACT Prep, and the most recent one is project based learning. With the new project based tiers, students will be doing more activities that are outside of their everyday curriculum. This allows them to practice everyday skills and maybe even try something new that they might be interested in. “The projects this year are so much better than doing Xtramath like we had to last year.” said Konner Treff Sr. Some of these new projects consist of studying local history, learning computer coding, and how to cope with stress, to name a few.